Are we being too hard on silos? I regularly hear clients describing their workplace as being siloed. It’s common in public, private and third sector. Sometimes people mean that their organisation is structured in silos. Sometimes they mean that their information is managed in silos. Sometimes they mean both. As KM professionals, we can be a bit militant in our language when it comes to silos. They have become our public enemy number one – we need to demolish silos, tear silos down, break silos up, eradicate silo working… you get the picture! It’s easy to slip in to a mindset whereby we view our organisations as completely dysfunctional, and “only radical KM surgery can save them”. Of course that’s never true – and raises the dangerous prospect that in our quest to find knowledge-enabled improvement, we fail to recognise what’s good and working well, and how our actions can impact that. So is the presence of silos always a bad thing? They seem to work well for managing grain! Are there areas in your organisation where you need to collect, protect, store, securely develop, and preserve things of value for future use by others? Perhaps it’s not the presence of silos which is the real issue, it’s their invisibility, anonymity and unnecessary impenetrability! The problems arise when people don’t know where the silos are, whether they are empty or full, how to access the content and who is working on them. In which case, there will be times when smashing them down isn’t the solution. It will be more appropriate to discover and recognise them, map their existence, understand their contribution, check that there’s no duplication, open them up for access and/or contribution by others (inside and outside?) and finally to communicate how others can get the benefits. Here’s a quote from the Organisational Learning Strategy at TEAR Fund, who I had the pleasure of working with earlier this year. We have a great deal to learn from each other across teams and groups, and so we need to reframe the idea of breaking down our silos, to one of opening them up. We should be continually finding ways to build bridges between and within our teams and groups. Silos are used to store grain, and our groups and teams need to nurture their learning, and then communicate it with others. I think there’s much more than a grain of truth in that. Chris, http://www.jostle.me is an elegant app that maps silos and makes it easy to understand what they contribute. In respect of your excellent post, I won’t inflict a sales pitch here. Thanks Brad (and Sam Marshall) – spooky how we’ve been thinking along the same lines, with or without silos! Thanks for the cross-post. I think ypur conclusion about bridging not breaking silos expresses it elegantly. Silos are critical to KM. The harbor, nurture and develop rare, specialized knowledge. It can been created no other way. Humans are clever. They self-organize to optimize. Silos are a unique network pattern among many. They aid creation and use of valuable assets. Think of silos as individuals. To optimize their knowledge contribution they must be connected, in the network. To master silo KM simply broker structural holes. It is easier than it sounds. What an excellent post Chris. Your clear writing and thoughtful analysis made it an easy decision to follow you on Twitter. Something people in the social intranet (“social business”) field forget is that team-based collaboration is as important, if not more so, than finding & connecting with distant colleagues who carry important relevant knowledge. Working within teams is the core of most people’s daily work. Team collaboration is actually quite tough and most teams don’t do it all that well. What about the metaphor of cities? I live in Tacoma and interact most with people in this city. But I can look at a map to see where nearby (or distant cities) are and find routes to get there. I can learn about those cities and when I arrive I can connect with my friends who are located there. I’m not locked in my home town, it’s just that this is naturally where I do much of my socializing. Similarly, we need teams. Strong teams can deliver amazing results. People just need to be able to find and connect with other teams without the barriers common to many organizations. Very well stated. I also think that the quality of an organization’s knowledge sharing culture tends to determine the “invisibility, anonymity and unnecessary impenetrability” of their silos. What do you think? I agree with you Walter, and vice versa. I think it takes courageous leadership to break the cycle. 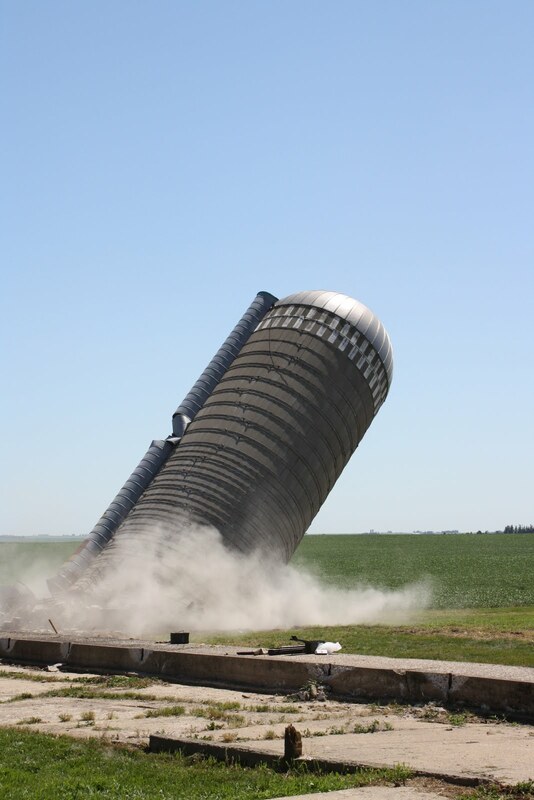 Everyone hates silos. Don’t they? Except, of course, silos are very effective … at storing grain. Silos reflect specialisation, and specialisation is why I am typing these words on a keyboard and can shortly post them on a global network, (theoretically) readable anywhere on earth – rather than standing in a river trying to spear a fish, or somesuch.